Churches have a unique responsibility to use the blessings and resources that God has entrusted to them wisely and effectively. 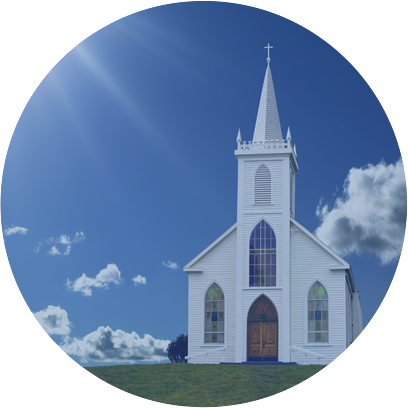 The Cleaning Company’s founder understands those responsibilities and we will help a church through the process of selecting a program that is both cost effective yet still provide the level of cleaning that church members expect. Churches often have unique circumstances that require flexible cleaning schedules. We at The Cleaning Company understand those needs and will work closely with churches to facilitate cleaning around special events such as weddings, funerals and special services and meetings. Occasionally, churches will use a church member for their cleaning needs. This is usually done at a low cost which initially seems to be a wise choice. However, using a professional company such as The Cleaning Company has many advantages in getting the job done in the most cost effective manner possible. Specialized tasks such as carpet cleaning or floor stripping and refinishing require specialized training and the use of expensive equipment. We are able to spread the cost of that training and equipment among several buildings instead of just one.